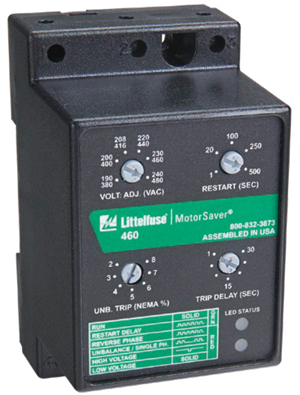 The Littelfuse 460 is a 3-phase voltage monitor that protects 190-480VAC or 475-600V, 50/60Hz motors regardless of size. The product provides a user selectable nominal voltage set point and the voltage monitor automatically senses line voltage. 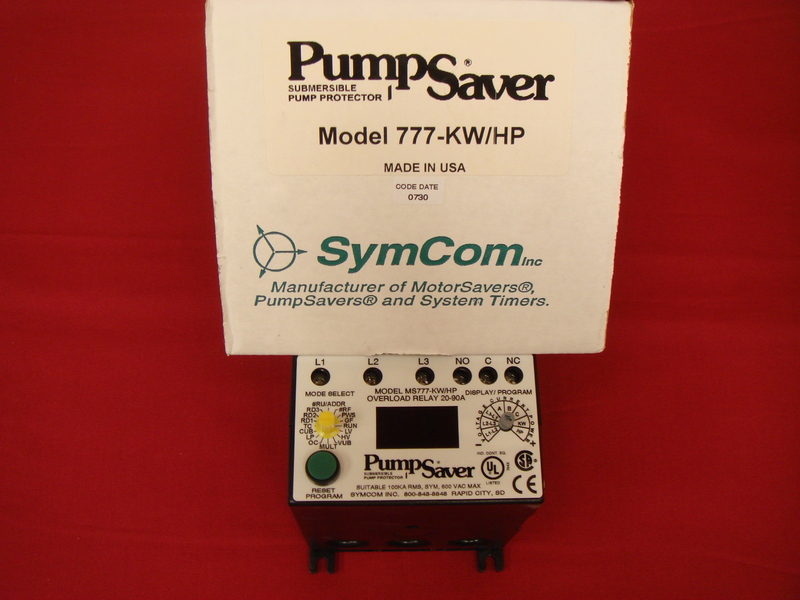 This unique microcontroller-based voltage and phase-sensing device constantly monitors the 3-phase voltages to detect harmful power line conditions such as low, high, and unbalanced voltage, loss of any phase, and phase reversal. 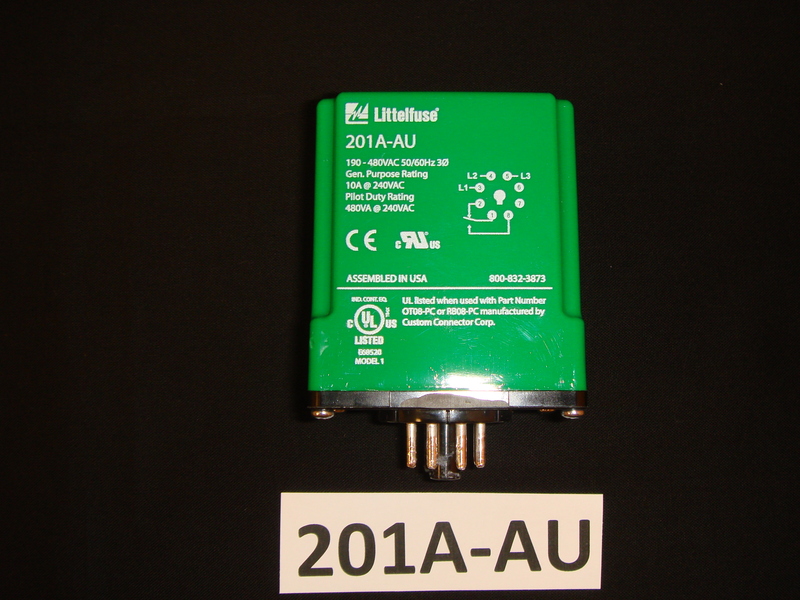 When a harmful condition is detected, the Littelfuse 460 output relay is deactivated after a specified trip delay. 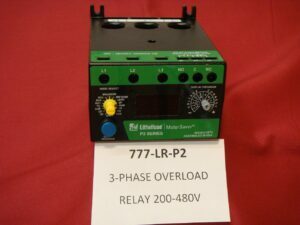 The output relay reactivates after power line conditions return to an acceptable level for a specified amount of time (restart delay). The trip and restart delays prevent nuisance tripping due to rapidly fluctuating power line conditions. 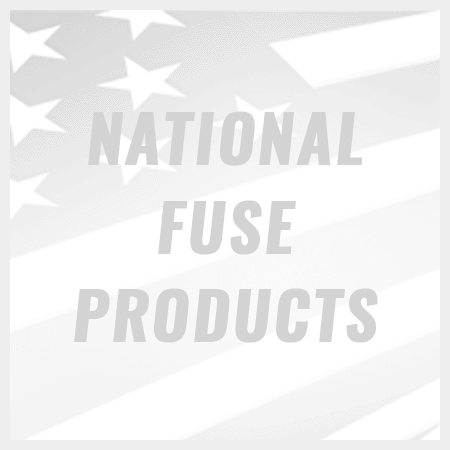 All Littelfuse 460 models feature adjustable 1-30 second trip delay, 1-500 second restart delay, 2-8% voltage unbalance trip point, and one form C contact except where noted.